The Garland District is a unique street of fun on Spokane's near north side. 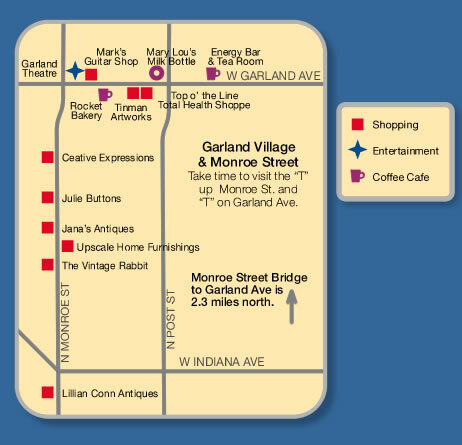 From ice cream, collectables and superb lattes to art galleries, music and theater, this entertaining district is a delightful experience. Professional video editing, film transfers, DVD slideshows & photo archiving. Locally owned espresso, cafe and bakery. A creative experience for children, featuring books, toys, games & creative art classes.